February 12, 1940: The identity of Superman, the man from planet Krypon, was unknown to listeners for six years. Eventually, the secret leaked out that Superman's voice was that of Bud Collyer. The adventure radio show Superman was first broadcast by Mutual. 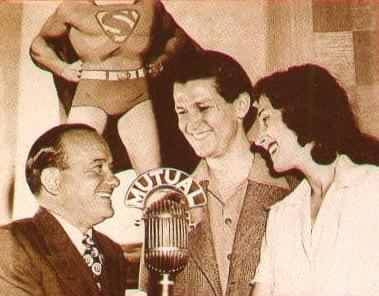 Two years after the release of the first Action Comics was the debut of the radio show The Adventures of Superman on Mutual. Like the superhero's identity, no one knew the identity of the radio actor who voiced Superman. People learned about his identity when Collyer entertained an interview by the Time Magazine about a promotional campaign that used the character. During its stint, The Adventures of Superman was aired every late afternoon, and was very popular among its listeners.